The Historic Textile Building is located in the Fourth Street corridor of Cincinnati’s Central Business District. Situated at the intersection of Fourth and Elm Streets, this 213,704 square foot; 12-story building is on the National Register of Historic Places. It was built in 1906 and designed by Cincinnati architect Gustav Drach in Renaissance Revival style. The construction of the Textile Building started the trend toward centralizing one industry within a single building. 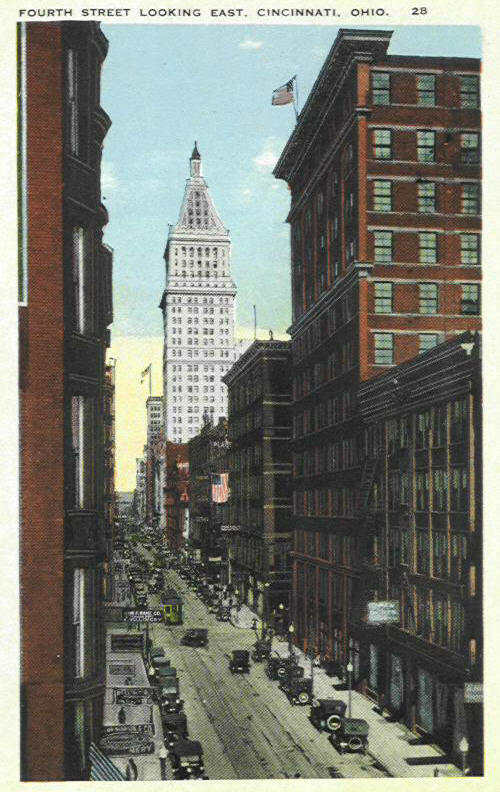 This effort to stop the scattering of the textile industry throughout the city from its traditional Third Street core was considered a progressive concept at the turn of the century. The property was meticulously renovated in 1987 and has been continuously maintained with a dedication to high quality. Cincinnati’s bustling garment industry was scattered around its traditional Third Street core throughout the 1800s. In a progressive concept at the turn of the century cities began attempting to centralize industries in single buildings. The 12-story Textile Building was constructed for that purpose in 1906. Local architect Gustave W. Drach provided the plans in a Renaissance Revival style. Drach, a Cincinnati native trained at the M.I.T. School of Architecture, was one of the town’s most versatile architects with works ranging from elegant residences to large utilitarian structures. The Textile Building was owned by Duke in the 1980s, which undertook an extensive renovation program at the facility in 1986. The building was sold in the early 1990s to a real estate syndicate, which then sold it to the next owner, K-B Opportunity Fund I, owned by Koll-Bren of Newport Beach. Now owned by Hudson Holdings, the upcoming redevelopment will offer an energetic atmosphere and a lively feel packaged into one unique space. It will contain 150 hotel rooms, 100 luxury rental apartments with hotel style living. The building will also hold 35,000 square feet of office space and 6,000 square feet of boutique retail space. Guest and residents can expect an experience that blends the comforts of home and the luxuries of full service hospitality. Some of the modern amenities guests will experience are: 24-hour concierge, room service, valet parking, fully equipped fitness center, luxurious spa and expansive pool. Being centrally located, guests will have plenty of options nearby for entertainment.